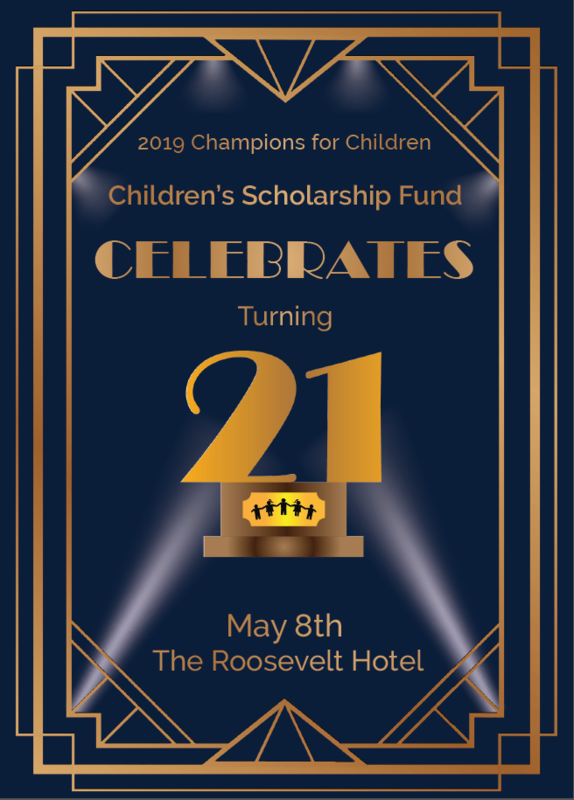 The Children’s Scholarship Fund’s (CSF) 2019 Champions for Children Awards celebration will be held on Wednesday, May 8th, from 6:30-9 PM at The Roosevelt Hotel (45 E. 45th Street near Madison Ave.) in New York City. Arthur Rock is a Principal of Arthur Rock & Co. and was a partner in Davis & Rock from 1961 to 1968, both venture capital firms. Rock was the founding investor in Intel Corporation and served as Chairman of the Board, Chairman of the Executive Committee and lead director. Mr. Rock was co-founder and is president emeritus of CSF’s San Francisco partner program, The BASIC Fund. He was also on the board of Teach for America and Children’s Scholarship Fund and is an active funder of KIPP. Derrell Bradford is the executive vice president of 50CAN, a non-profit organization that supports local leaders working to improve state education policy through advocacy. A passionate advocate for educational opportunity, Derrell serves on the boards of Success Academy Charter Schools, EdBuild, and the PIE Network. Jason Tejada is one of CSF’s earliest scholarship recipients and a CSF supporter who graduated from Columbia University and recently joined Morgan Stanley as a Vice President in the Municipal Securities Division. This year’s emcee is Juan Williams, Fox News political analyst and co-host of The Five. The celebration will include a cocktail reception, silent auction, and seated program with entertainment and a chance to hear from our honorees. Proceeds from the event will fund CSF scholarships for low-income children in New York City. We hope you will join us for what promises to be a truly uplifting evening! For details about tickets and sponsorships, please visit bit.ly/CSF21 or contact Michele Mitola at mmitola@scholarshipfund.org or 212-515-7108. View the invitation here.